Guatemala is consistently listed in the top 10 happiest countries in the world, despite the difficulties it faces with poverty and crime. To continue this trend and improve the lives of Guatemala's residents, different groups are working there – including School of Sustainability faculty, alumni and students, who have visited the country for the past two summers. 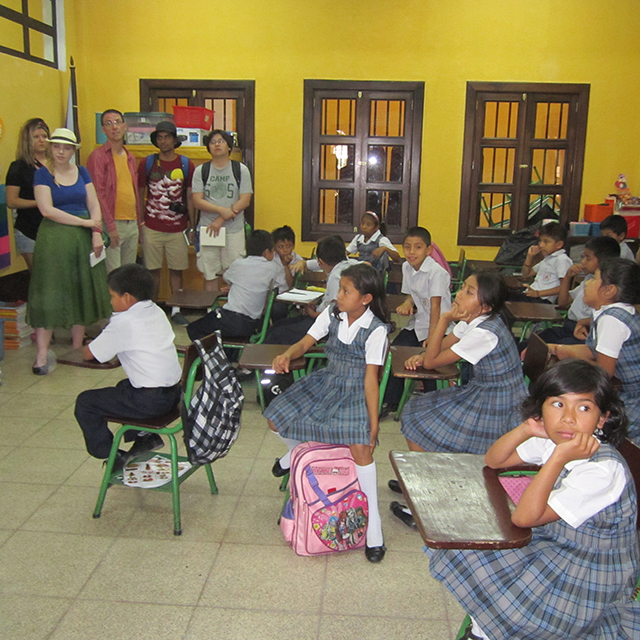 These visits yield a number of connections, like one between two alumni who were in Guatemala with different organizations and crossed paths unexpectedly. 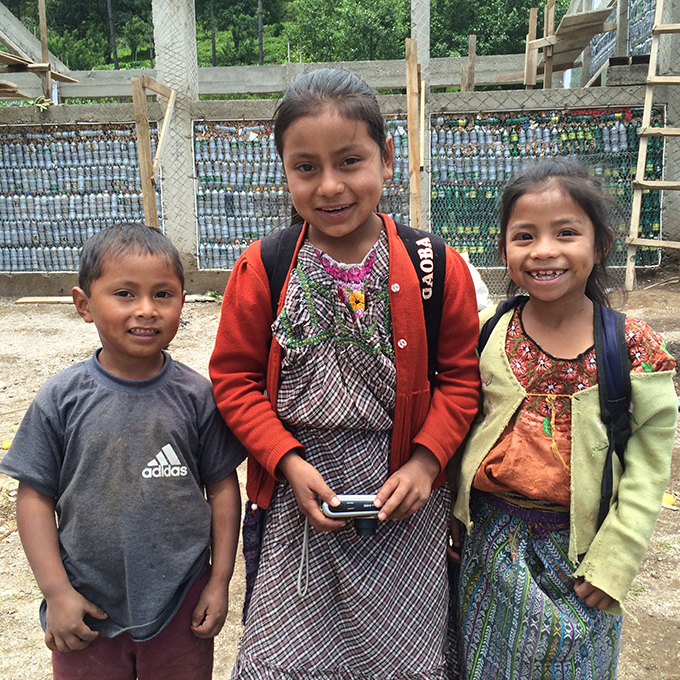 Another graduate from the School of Sustainability is currently working in Guatemala for Habitat for Humanity. A study abroad program also brought students to the country in the summer of 2015, and the faculty member who facilitated the trip – who has visited multiple times since – plans to go back again this December. For Scott Cloutier, School of Sustainability assistant professor and leader of the 2015 study abroad trip, his work in Guatemala began as a project with the Walton Sustainability Solutions Initiatives. He fell in love with the country and the people after his first visit and wanted to continue his work there. Cloutier studies the impact of neighborhood design (e.g., housing, waste, water, energy and transportation) on quality of life, trying to find a holistic approach for equitable access to opportunities for happiness. Currently, School of Sustainability alumna Kayla Bellman (Bachelor of Arts, 2016) lives in Guatemala and works as Habitat for Humanity's donor relations officer. She also completed a Bachelor of Arts in Global Studies and Certificate in Human Rights. Bellman traveled to Guatemala with Scott Cloutier in 2015, where she had the opportunity to meet some of the Habitat Guatemala team. Six months later, inspired by the trip, she applied for the donor relations officer position and relocated in June 2016. She is happily settled in Quetzaltenango, where she engages on a daily basis with the wicked problems tackled at the School of Sustainability. The United Nations Declaration of Human Rights states that everyone has the right to an education, but millions of children across the world – including in Guatemala – do not have easy access to a safe, clean environment for learning. Bottle schools not only provide the opportunity for children to get an education they might not otherwise receive, but also serve as a solution to inorganic, plastic trash – like plastic bottles. Dunn heard about the organization through a friend and decided it was a great opportunity to book an “in-service vacation,” working on a sustainability-related project while instilling volunteerism in her son, who went on the trip with her. While helping with bottle schools, Dunn ran into fellow School of Sustainability alumna Sarah Boege (Bachelor of Arts, 2015), who was working on a similar project with a different organization. Boege is currently working on her Master of Public Policy at Oregon State University, and was in Guatemala this past summer as an intern with an organization called Long Way Home. She was conducting research on her thesis, which focused on sustainable development. Boege also felt that the international development class she took during her undergraduate career laid a good foundation and provided broader context about development work, like the kind she did in Guatemala. Not only did School of Sustainability students and alumni get the opportunity to apply their studies while in Guatemala, they felt that their participation in these programs really made a contribution to the well-being of the Guatemalan people. Looking to apply what you have learned while contributing to sustainability efforts in Guatemala? Email SOSAlumni@asu.edu for more information on how to get involved.